It’s difficult to find a cellular plan which suits both, our needs and our purse. There are many different service providers with a dizzying array of plans and combinations and it is always difficult to know which ones are offered in Calgary and which ones are not. Worry not! At PlanHub, we have done the research for you and can help you find the best cellphone plans in calgary for your needs. The most economic plan – contains the basic plan with Calls & texts without mobile data. The Best 3 in 1 plan with calls & texts and 2 GB of data. The best connected plan offers calls & texts and 6 GB of data. If you just use your phone to make calls and send texts and don’t really need any data on your phone, then the best plan that we recommend for you is Public Mobile’s prepaid plan with unlimited province-wide calling for only 25$ per 30 days. These plans offer unlimited calls and texts and some data. Among them, Freedom Mobile’s plan is the least expensive. Their “Home 2GB with Digital Discount” plan with 2 GB of data is only 40$ per month. Are you connected all the day? Do you need plan which offers sufficient data for all your needs? Right now, Freedom mobile has an offer for where you can get a bonus of 3GB for two years over and above the usual 5GB of data on their “Big Gig + Talk with Digital Discount” plans. So, for just $50 you can get 8 GB of data. 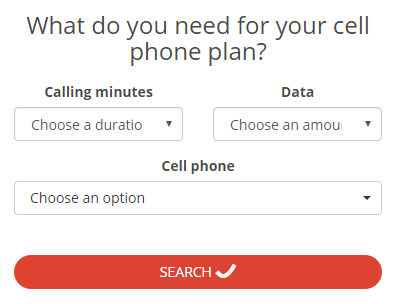 Do not hesitate to make a personalized search on Planhub.ca to discover the best cellular plan in Calgary according to your consumption.